Are you looking for an affordable yet beautiful flooring for your home or business? If you’ve recently constructed a new home or you’re trying to make renovations to your property, new floors can significantly improve the look and function of your space. A quality home floor isn’t just about looks. It’s an investment that will add to your home’s value and ensure you won’t have to replace it every few years of wear and tear. 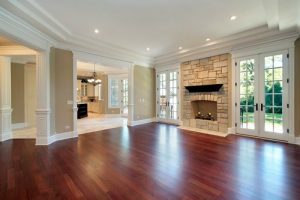 If you’re thinking about installing wood floors, luxury vinyl tile flooring, or laminate, go with a contractor that knows its way around the Farmington area. 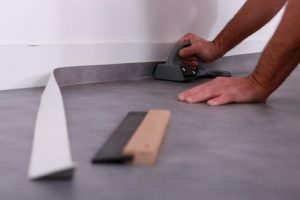 If you need trusted floor installation services for your home in Farmington, then look no further! Our floor pros are ready to help you pick out the perfect styles and materials for your floor to create the exact look you desire. Why Call Our Floor Professionals in 84025? We Carry All Kinds of Residential & Commercial Flooring Types Such As Hardwood, Laminate, Carpet, Linoleum, Luxury Vinyl, Tile & More. Our Costs Are Competitive And Our Helpful Staff Are Ready To Answer Your Questions! Call 801-515-0047 Today! Hardwood flooring not only looks beautiful, but it will, in most cases, outlast any other type of flooring out there. Hardwood flooring is durable, very simple to clean and a fantastic choice for common areas, dining rooms, living spaces, and walkways because it is highly resistant to surface damage. This timeless material will look great for years. Many homeowners opt for hardwood flooring because it offers class, style, and durability. We carry all types of wood including Southern Pine, Douglas Fir, Cypress, Red Oak, Bamboo, Wenge, Antique Pine, and Oak that are sure to create the appearance you are looking for. When your floor is refinished by SLC Flooring, you can count on work being done to the highest professional standards for an exquisite look that will last. We can refinish your old hardwood floors to make them look new. Everyone knows periodic refinishing of your hardwood floors is necessary to preserve their quality and beauty. Years of wear and tear can easily ruin the polished look your floors used to have. With a quality hardwood floor refinishing job, your floors will look good as new. Call our pros today for all of your hardwood refinishing needs. Laminate flooring is a popular option for homeowners in Farmington that want to upgrade their space with beautiful, reliable flooring without the expense of hardwood. Laminate flooring is a composite floor material that is designed to look like hardwood, but is actually comprised of four layers of materials that provide additional rigidity, strength, and protection against damage. In addition to being easy to install, laminate floors offer a wide selection of colors, patterns, and thicknesses for a variety of situations. It is also very quick and easy to maintain – making it ideal for children’s bedrooms, kitchens, hallways, offices, bathrooms and recreational areas. Looking for new flooring that’s designed to withstand regular wear and tear? Why not consider linoleum? A cost-effective solution, linoleum flooring is affordable to install and easy to maintain. Although linoleum flooring has been around longer than other flooring options like vinyl, it does not receive nearly as much recognition as it deserves. Many homeowners in Farmington UT don’t even realize that linoleum is a flooring option. Linoleum flooring is actually considered one of the better choices because it’s made out of natural materials, making it more eco-friendly. At SLC Flooring, we offer quality linoleum flooring installation services to residential and commercial clients. If your home or business needs new flooring, you should consider linoleum for your upcoming project. Looking for an easy way to upgrade your home? 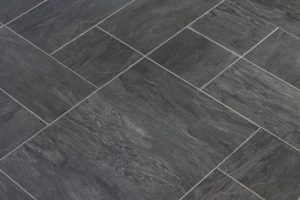 Luxury vinyl tile is an excellent flooring option that is economical, sustainable, and versatile. Luxury vinyl tile, also known as LVT flooring, is a resilient flooring option that comes in a wide selection of styles. 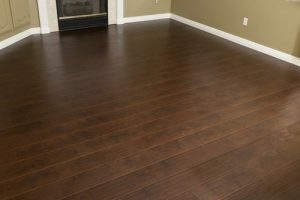 It’s also an affordable and low maintenance flooring material that’s quick to install, and can be used in any room of the home. Our company provides luxury vinyl tile installation on top of having an extensive selection of flooring materials. Because our installation teams have intimate knowledge about the stock we offer, you can rest assured that you will be guided by a company that cares. We help you select the right lvt flooring that matches your property in Farmington. Looking for an easy and affordable way to enhance the interior atmosphere of your home? Tile is considered one of the most resilient materials for floors and walls. It’s attractive design and long life make it a solid investment for any homeowner. Tile flooring offers clean, minimalist designs with an array of options for water, scratch and water resistance. With tile flooring from SLC Flooring, you can add a new, durable surface to your home that perfectly matches your style. From sleek and modern, we stock a wide range of floor tiles that you will love. Is your carpet stained or ripped up from pets? Maybe you just want a different color to match the walls. 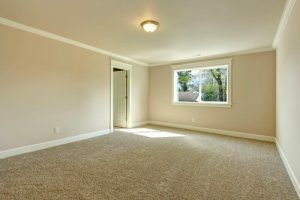 Whatever the case is, a new carpet is an excellent option for families or homeowners in Farmington that are looking for warm, comfortable flooring above all else. Modern carpets are designed to withstand today’s active lifestyles. Gone are the days when even high-end carpets left tracks as you walked, were trampled by furniture, or were ruined by simple spills. Foot traffic, odors and stains are less of a concern than ever before. All of our carpets come from quality manufacturers and we take great pride in fitting them professionally to give you floors that look and feel great. The way your business is presented makes a big difference when it comes to how customers perceive your brand. 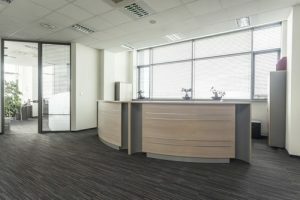 A well-kept floor says a great deal about your company and can have a huge impact on how a customer perceives your business, so we offer commercial flooring options that help you make a good first impression. 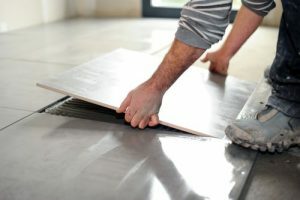 We have experience install flooring in all types of commercial and industrial buildings in Farmington UT including medical offices, apartment buildings, supermarkets, high rises, institutions, bowling alleys, health care facilities, houses of worship, private schools, condos, shopping centers, universities, shopping malls, municipal buildings, night clubs, nursing homes, strip malls, apartments, movie theatres, schools, hospitals, offices, daycare centers, and more! 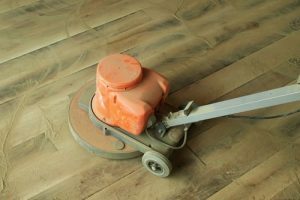 Whether its linoleum, laminate, hardwood, carpet, tile, or luxury vinyl tile – if you need to replace the flooring in your workplace, give us a call. No matter your style, budget, or needs, SLC Flooring has top name brand products and affordable installation services just for you. We suggest you check out all the services we offer and learn why we are the best choice for flooring in Farmington and nearby cities. Our main objective is to make certain our clients are pleased. We believe in quality workmanship and will not compromise on the end results to improve revenue. We have among the top track records in the area so you can be sure your task will get done the first time properly. Call us at 801-515-0047 for a free quote. Farmington is a city in Davis County, Utah with a total population of approximately 18,255. Farmington, which uses the 801/385 area code, is located at 40.985566, -111.89237 at an elevation of 4,302 feet. There are over 5,151 households and on average there are 3.41 people in each household with a median age of 29.4. The average income in the area is $92,698 and the average home value is $291,300.